Diploma Programmes in Mechanical Engineering. Diploma Programmes in Civil Engineering. Diploma Programmes in Electronics & Communication Engg. Diploma Programmes in Automobile Engineering. Diploma Programmes in Computer Science Engineering. Diploma Programmes in Electrical & Electronics Engg. 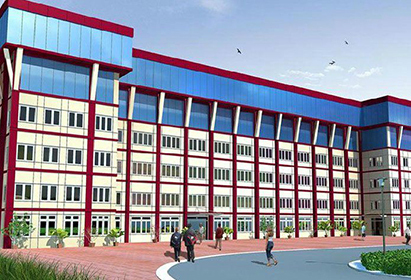 Ashoka Polytechnic has adequate infrastructural facilities of high standards to meet the needs of students in line with the modern day requirement and modern technology for the comfortable study environment & pollution free greenery campus. 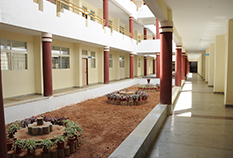 Students at Ashoka Polytechnic are privy to a unique Wi-Fi campus. The Wi-Fi campus enables the students to get on-line anywhere on campus without the hassle of wires and plug-ins. The campus of Ashoka Polytechnic, truly, is the high tech face of the new-age. Placement cell of the college is very active in the field through continuous interaction with reputed companies across industry sectors in order to identify their requirements. Mr.R.M.Khan, after completing his B E from PES College of Engineering, Mandya (Mysore University) served various diploma institutes in Karnataka as head of the department. In 1995 he has been selected and joined in Border Security Force Training Institute âCENTRAL SCHOOL OF MOTOR TRANSPORTâ, BSF Academy, Tekanpur (MP). In 1998 Mr.Khan submitted a proposal to Honâble Director General of BSF, New Delhi, for the establishment of Engineering College for the wards of BSF personals who are scarifying their lives for the Nation, as a result in 1999 âRUSTAMJI INSITITUTE OF TECHNOLGYâ has been established in Tenkapur, Gwalior (MP). Mr.Khan was a Member of Governing Body of BSF Education Fund, New Delhi, Acharya Polytechnic, Bangalore and many other institutes. He was a member of curriculum development committee of âRAJIV GANDHI TECHNICAL UNIVERSITYâ Bhopal (MP).